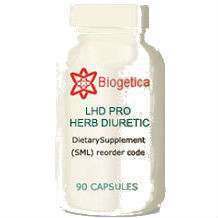 This is a review of Biogetica’s Natural Gout Treatment. 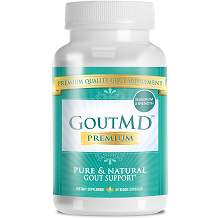 This product reduces pain, inflammation and swelling of joints that are the most common symptoms of gout. The approach helps eliminate excess uric acid from the body and dissolves the crystals that form in the joints. This treatment also strengthens joints and keeps them fully functional and pain-free. Gout is a type of arthritis that affects millions of people. It is cause by a uric acid accumulation up the blood and which then causes joint inflammation. There are two types of gout: acute and chronic. Acute gout is a painful condition that usually affects only one joint; chronic gout is defined by repeat periods of pain and inflammation. With chronic gout often multiple joints are affected. GT Mix 30 — A homeopathic treatment that curbs gout by intake of uric acid, stimulating the body to expel more. Kaishore Guggulu — An ayurvedic formula to treat pitta-type gout (where joints are inflamed, red and painful) by regulating metabolic activity and increasing waste elimination. OM 3- Factor (OM 3-Bone Irregularity – OM 3 GT Formula) — Homeopathic remedy where joint specific support is given to the body. Arthrose — An overall supplement containing micronutrients that promote joint and bone health. Enhances metabolic activity, regulates immune system and makes the body more receptive to nutrients required for healthy joints. GT Mix 30 — Two pills should be taken three times a day. This dosage can be increased to 2 pills six times a day if the gout attack is severe. Kaishore Guggulu — One or two tablets have to be taken twice a day after meals with water. Arthrose — 1 or 2 pills can be taken daily before meals. The complete kit costs $139 for a one-month dosage. This is almost five times the price of other gout supplements available. The company has a 90-day money back guarantee and gives 100% refund if you are not happy with the results of the product. While this may be a good treatment, it is extremely expensive. It is made of natural ingredients but is not vegetarian and may cause allergic reactions in some people.